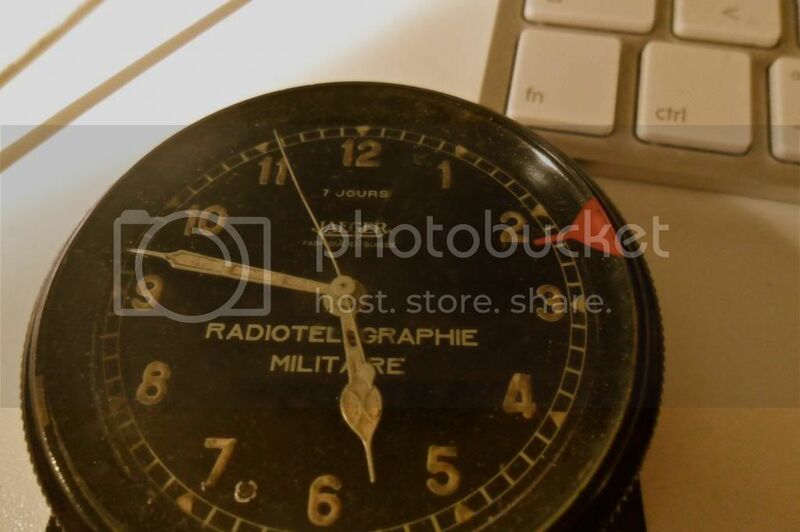 TimeZone : Vintage Watches » How about a thread devoted to vintage clocks? 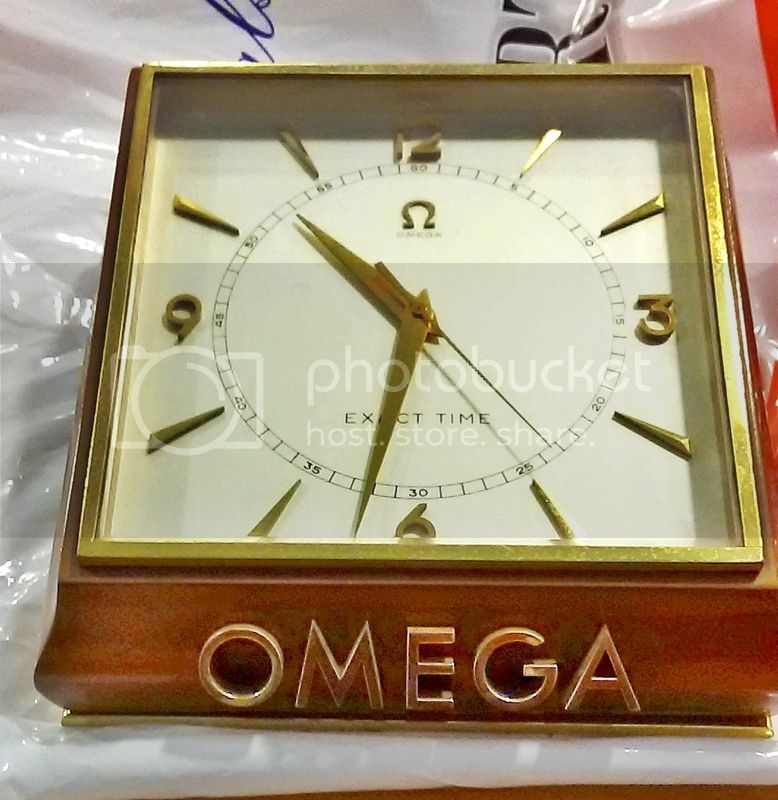 This is the vintage forum, but not decidated solely to wrist/pocket timepieces, I believe, so how about sharing your vintage clocks? 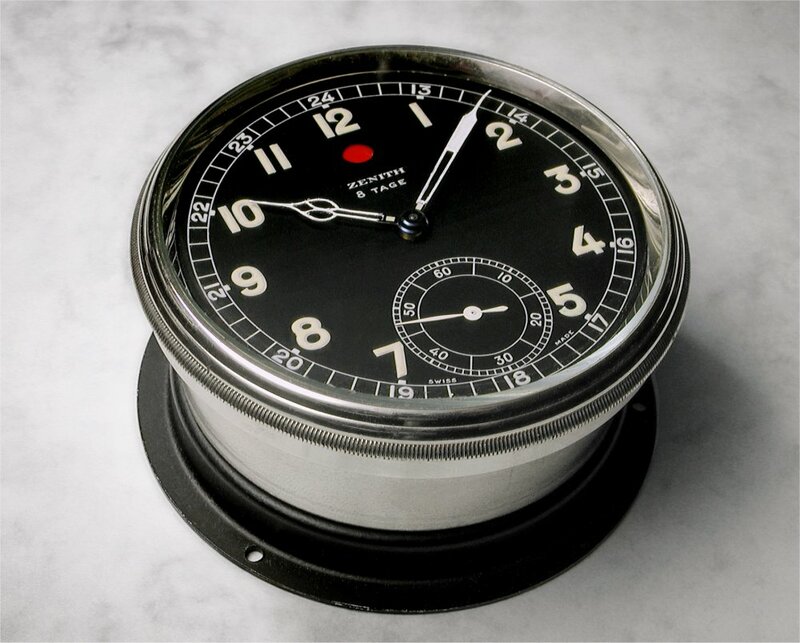 World War II-era Hamilton Model 22 chronometer. Well, marked "Australia", anyway :-) This is a Smiths Sectric tuning fork clock, probably made in the early 1960s. Whilst the movement uses a tuning fork it does not use an indexing system like the Bulova Accutron, but rather has a magnetic escapement. 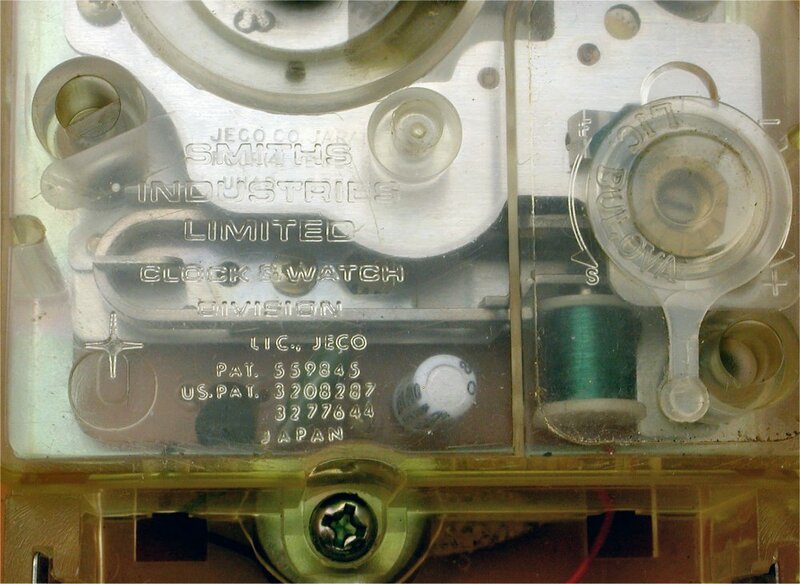 The movement post-dates Accutron's patenting of the tuning fork system as evidenced by the need to obtain licensing from Bulova (see ""Lic Bulova" on the regulator cover to the right). Not mine, but photographed some time back. 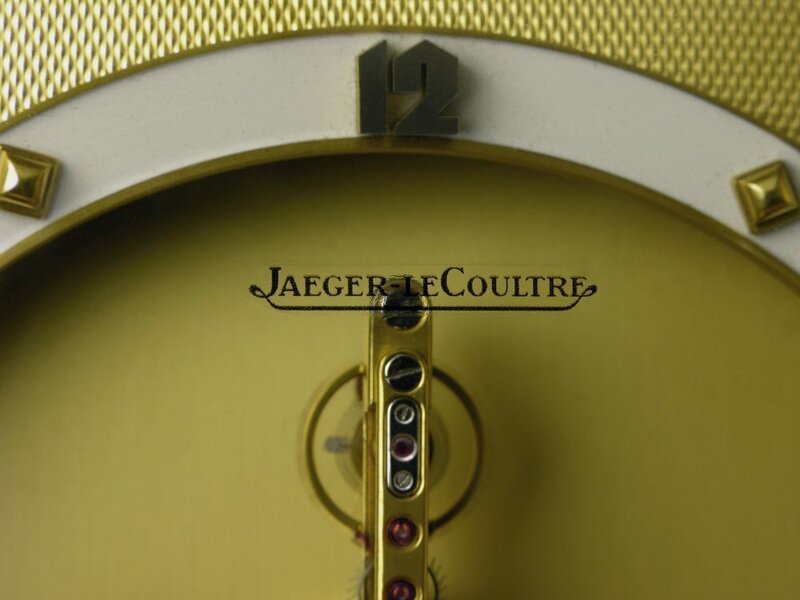 THis is a Jaeger LeCoultre 8-day clock with their interesting 16 jewel cal. 210 baguette inline movement. 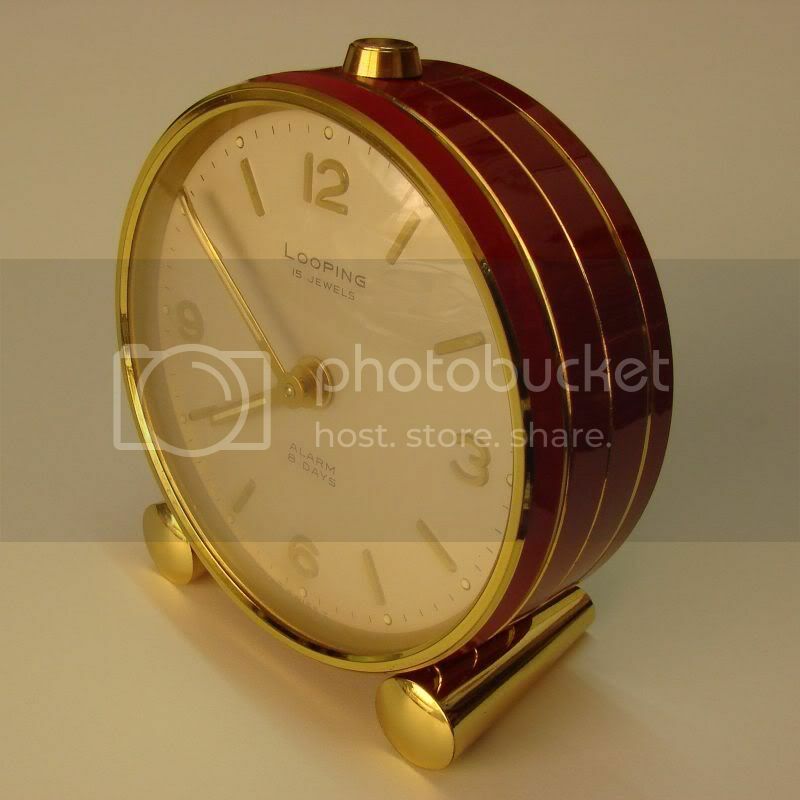 This movement was introduced in the mid-1930s and JLC made use good of it a wide range of clock designs into the 1990s. 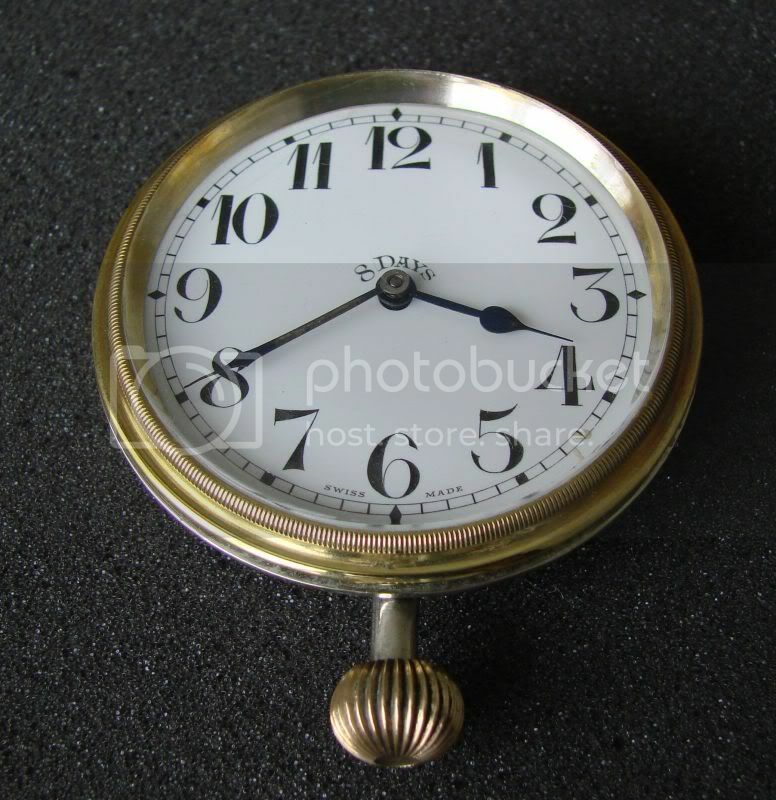 This clock measures around 10cm x 12cm, and is wound from the rear, (back of the mainspring barrel). 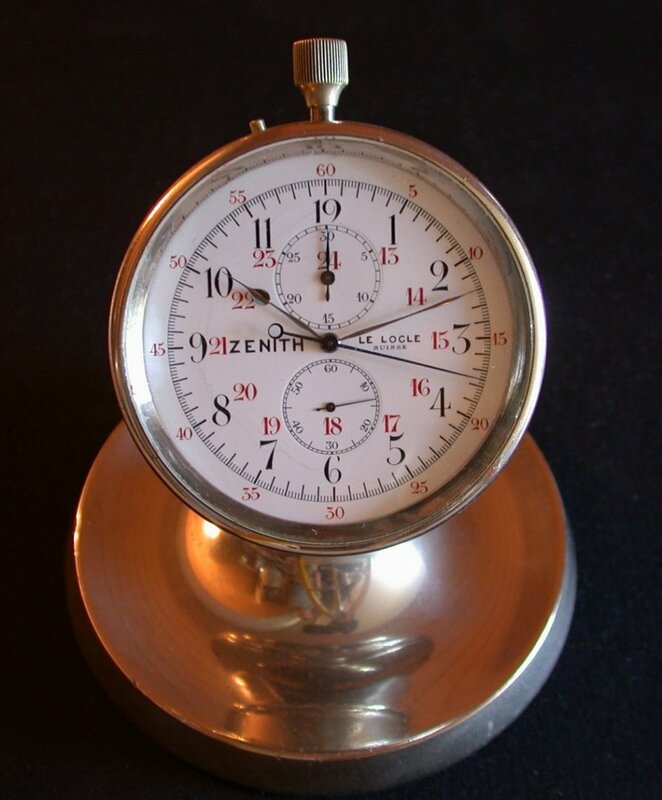 Here's a Zenith 8-day dashboard clock. These were made from around the mid-1920s up to as late as the 1960s and found service in cars, buses, and other forms of transport. The well-finished 11 jewel movement has a power reserve indicator that displays a red dot on the dial when the reserve has 24 hours left. Winding the clock is achieved by turning the bezel and to set the hands the bezel is pulled up and turned - a convenient method when mounted on a dashboard. (Movement photo by clock owner, TomG). All are 8-day 15 jewels excpet the Omega. Looping 15J 8-day same size as the small Looping above. Omega Cal. 53.7 SC-6720 100-hour 18 J. 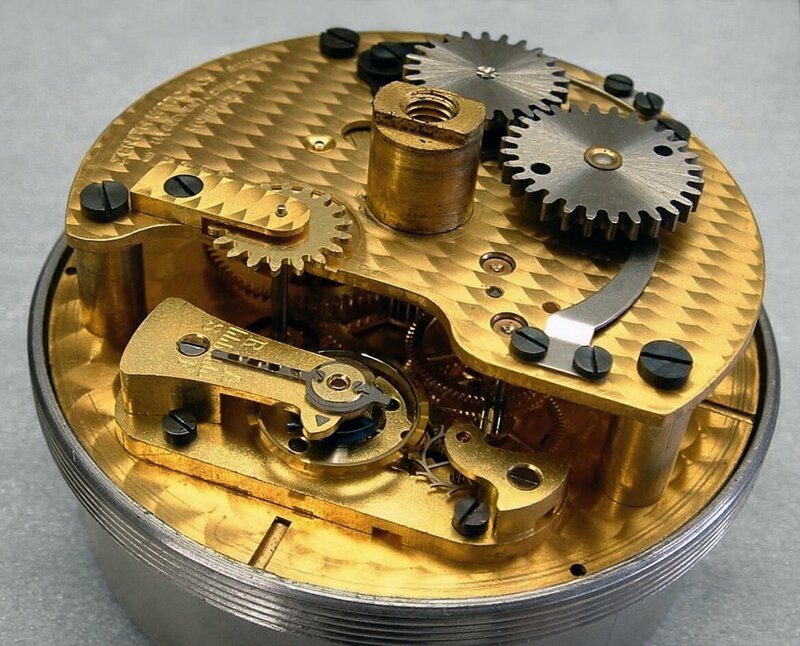 "Exact Hour"
...It doesn't run 8 days and was built from an old Zenith pin-set pocket chronograph movement for use in laboratories for timing reactions, experiments, etc up to 30 minutes. 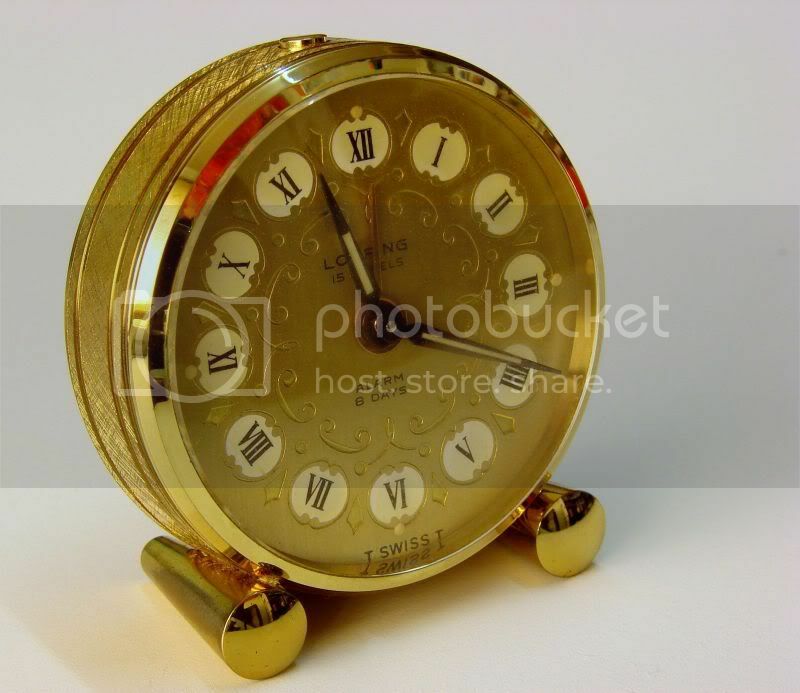 The stand is heavy nickelled brass so the clock doesn't run around when you quickly activate the start/stop/reset button on the top. I really like the enamelled dial. ...here is a 1961 ATMOS that a friend gave to me when he was cleaning out his parents' house 10-15 years ago. I need to have it serviced...it is very clean and intact, but has a bellows problem of some sort, I think. That is a nice piece!! Here's a recent acquisition, a rare Marvin Observatory Chronometre. Most that I've seen have been the much smaller ones with the 30mm movements, but this one is big. 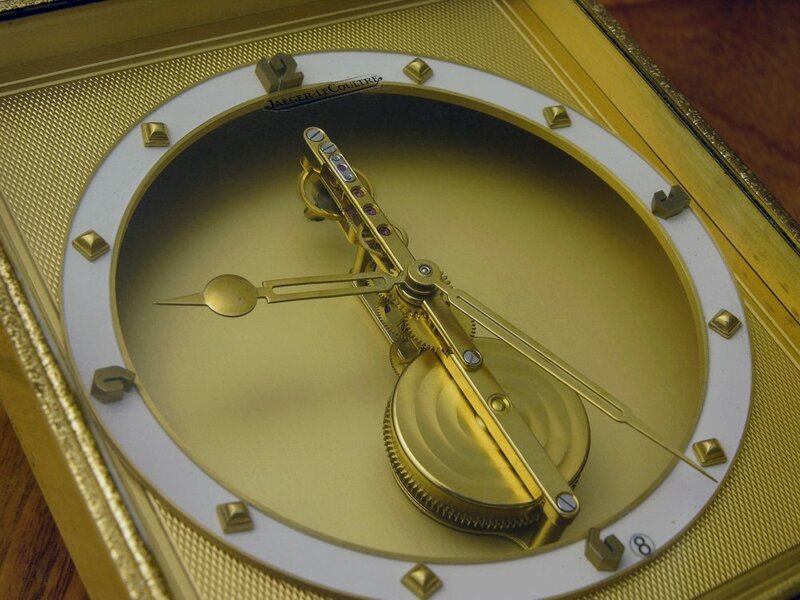 The movement is 39mm, the dial is 80mm, and the box is 15x13cm. It's currently being serviced, but is in excellent condition and a pleasure to look at. If you want to kill time, you need a good timepiece for a weapon. I've seen some Peseux chronometers that are similar (one Nardin in particular was very nice--SteveG bought it and had it made into a wristwatch by RGM), but nothing that size! Quite a rarity and a possession to be prized. Would you please share a movement photo with us? That could be the centerpiece of any collection...of watches, clocks, Omegas, cool things in general! ...if he was sure he wanted to give it away! He has two young daughters now--someday I should make a point to give them each a fine vintage watch to cherish as I do this Atmos. 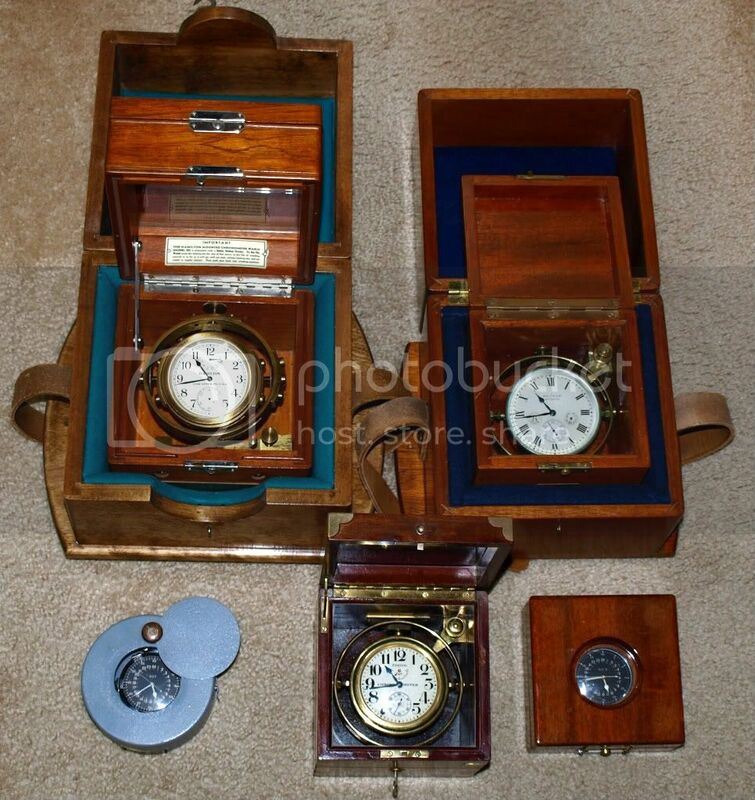 A couple lovely little US-made Hamiltons would do the trick! 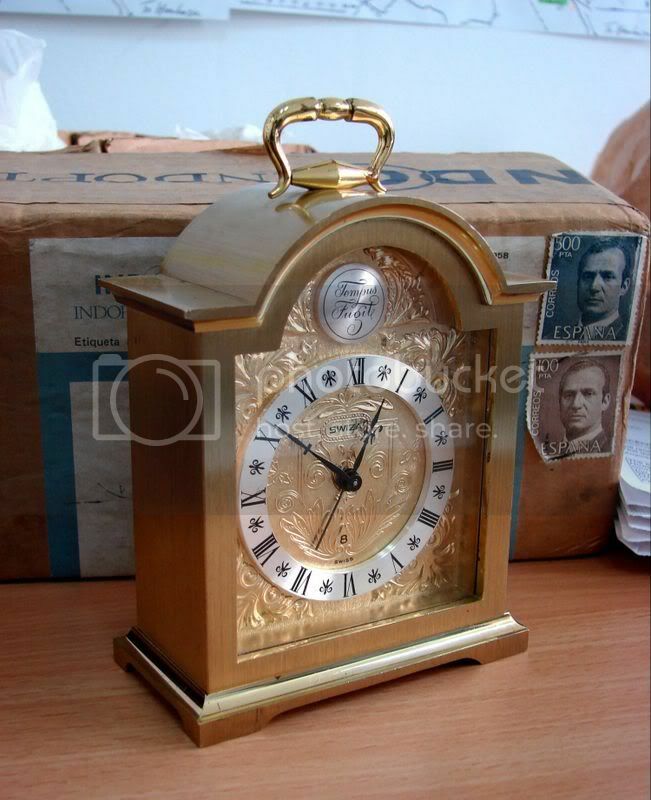 Here is my "Goliath" watch a large, 8-day pocketwatch-style clock from the 1920s. 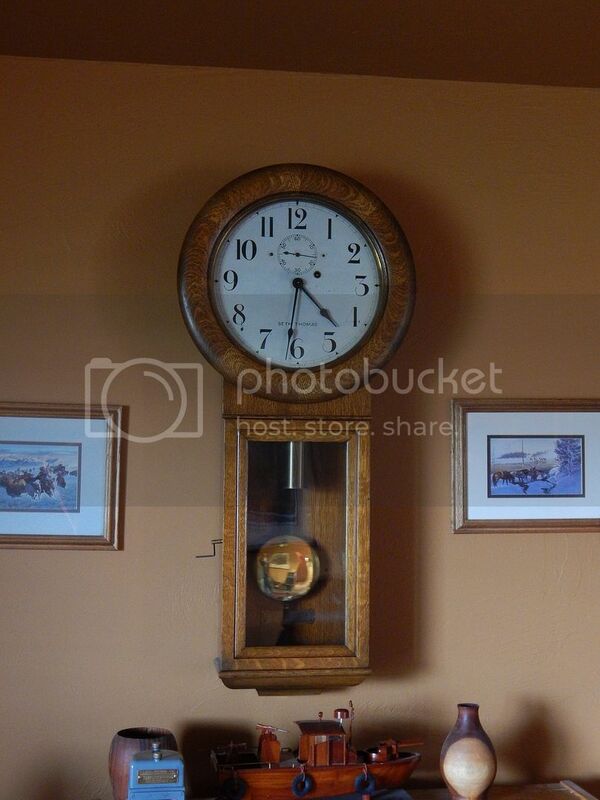 Remember when looking at the photos that this timepiece measures a full 5 inches across! Please click any photo to see a larger image. 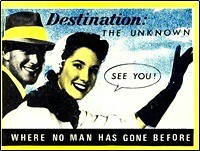 Sorry for the very old photos...it is past time for me to take some better ones, I think. 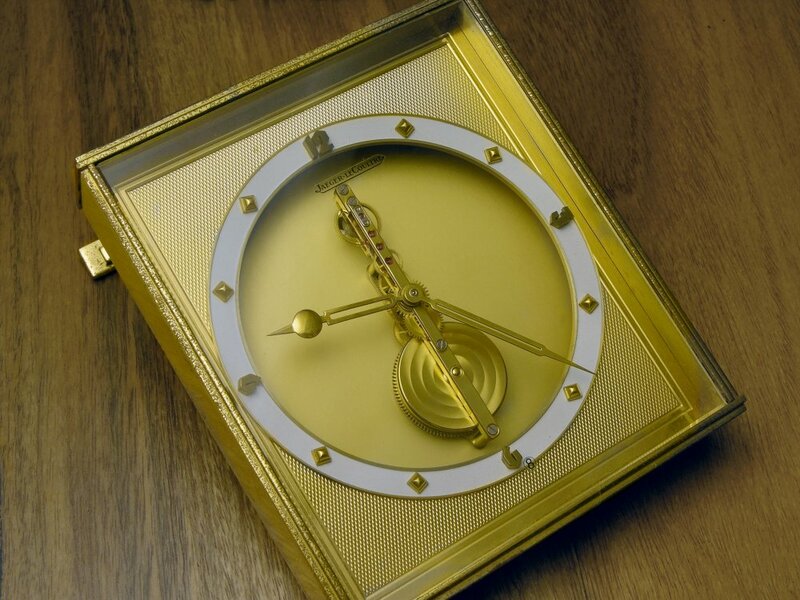 The display case that the watch is in shows only the face of the watch. The box is hinged mahogany with a sterling silver shell formed over the top. It is engraved with my great-great grandfather's initials (also those of my uncle and almost mine, which are CBJ). The watch and box were sold by the famous Washington D.C. silversmiths Black, Starr and Frost. That is the name visible on the dial. The movement is a 15-jewel Octava. In my photos you see the original movement which has been replaced. 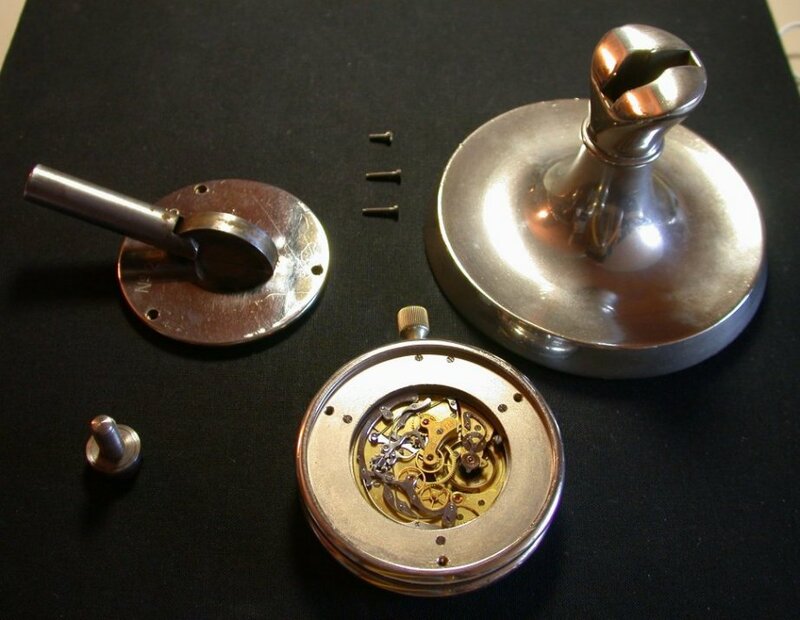 One day I will have the original movement restored and put back in the watch. The movement is marked "Octava Watch Co., Switzerland 3 adjustments U.S.A.P. 816321" I have not looked up the actual date of this patent, but I should. You can clearly see that the movement is tiny in comparison with the case. I use the term "goliath" for this watch because I have seen that term used on British horological websites. I've also seen these watches referred to as "coach watches" because they were, apparently, common timekeepers on horse-drawn coaches (like stage coaches in the US). 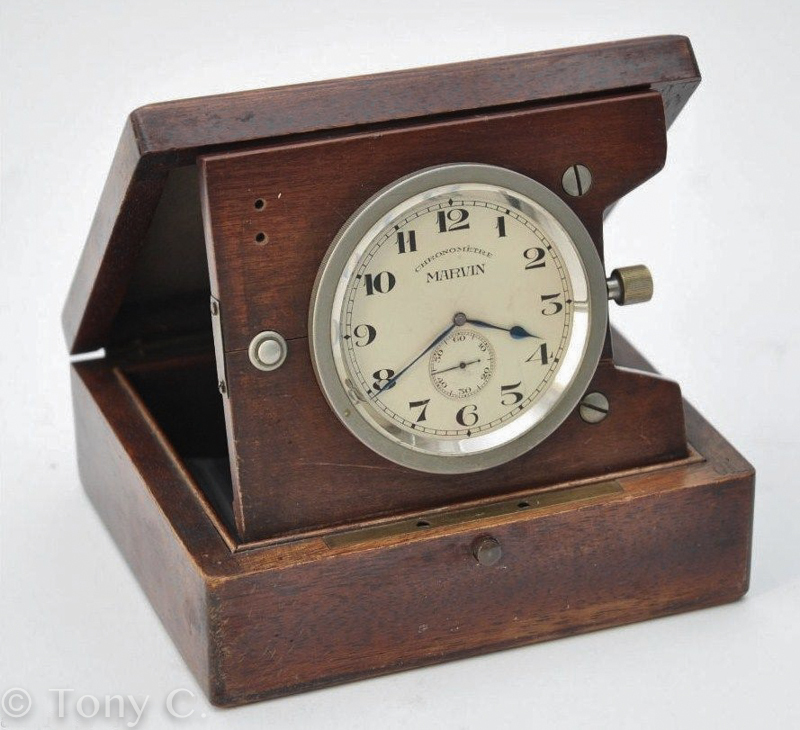 It's a pretty cool piece although not portable like a pocketwatch or wristwatch. It sits on a shelf in my living room and does not get much use. But whenever I glance at it I do feel a sense of pride of ownership. That the item has been in my family for four generations is remarkable. Hopefully, my daughter will take pride in ownership someday. It's a modified cal. 851, which is found in many Marvin pocket watches from the '40s and '50s. 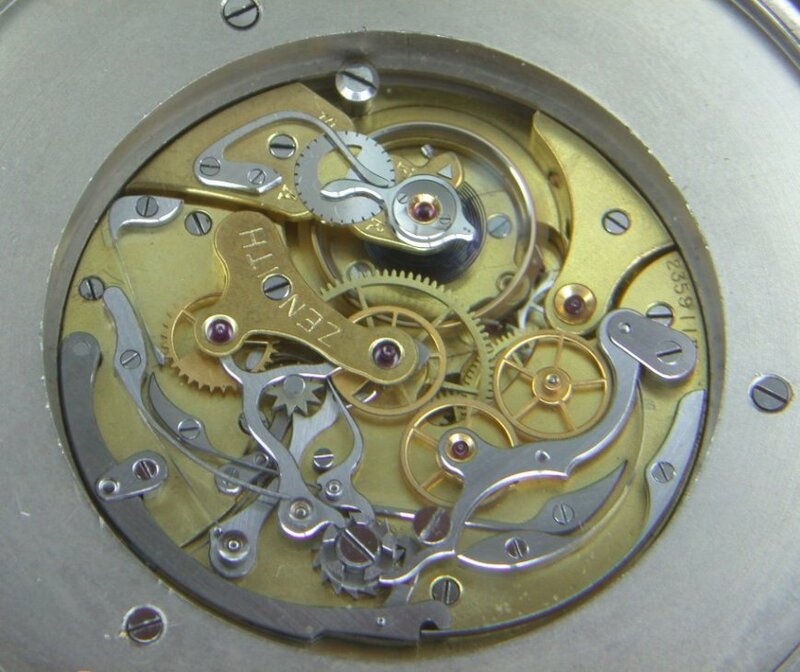 Actually a pretty movement, and I will supply photos when it returns from service. I too like all things clock/watch related. 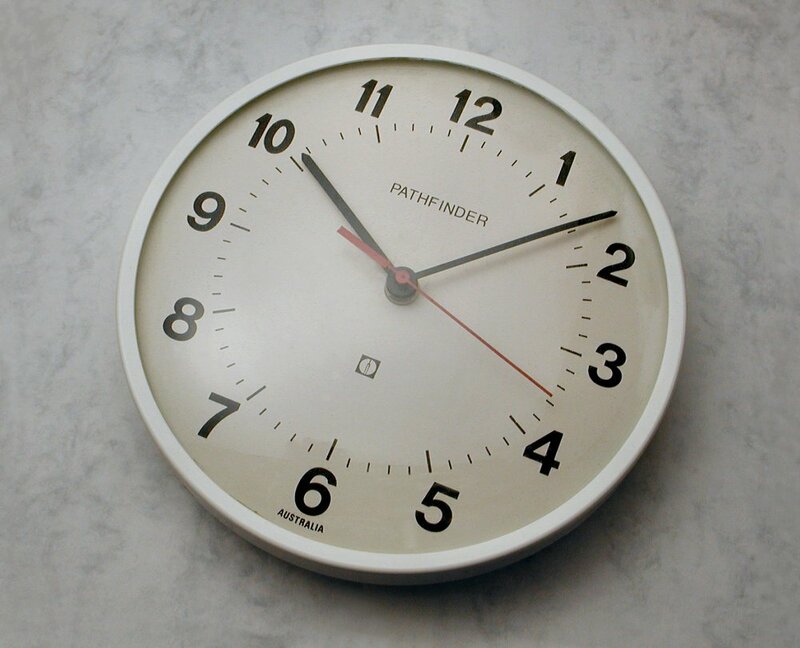 Please post a photo of the USAF cockpit clock. Never seen one that big, and the details are fascinating. 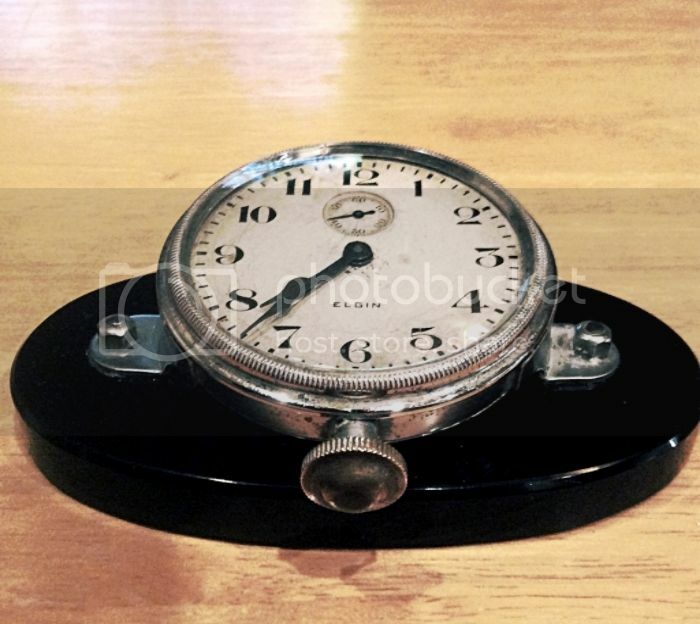 I sold the Elgin cockpit clock below to a friend who bought an RGM Cal. 801 'Aircraft' model which is based upon this design. They made 3 variations on the original dial for their 801A. It's somewhat sad to think that many of them may have been disposed of when the old cars that were their homes were no longer wanted. 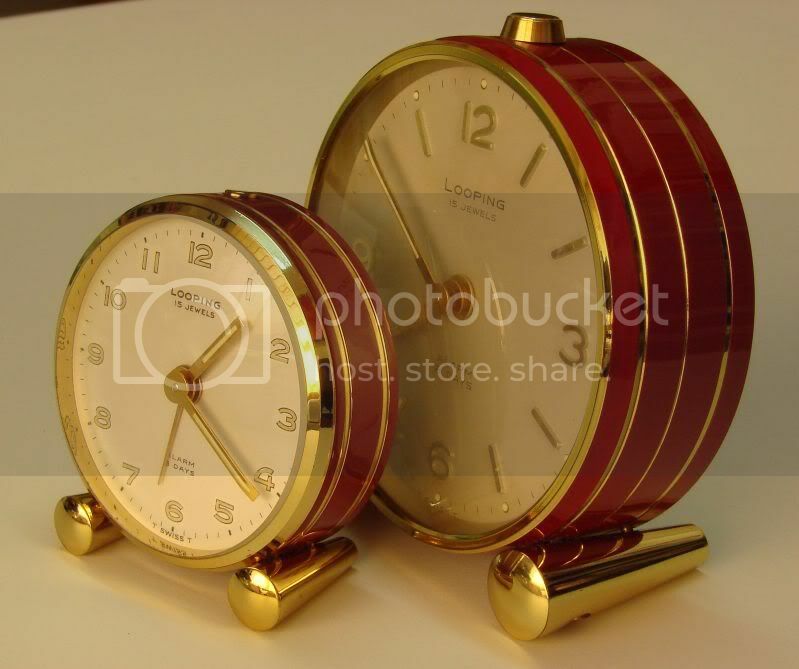 Aside from the potential for use as desktop clocks, I've long wanted to obtain a nice example and find a way to mount it in a modern car! ...it is very cool for it to have AUSTRALIA printed on its dial! It's mounted on a piece of heavy teak or ebony wood with chromed brass fittings, so I could see a watercraft use in its past. The Seth Thomas no 2 wanted one of these for a long time runs for a week on one wind weight driven. ...what is the one between the two GCTs? A Zenith Chronometer made by Vale watch co USA during WW2 before Hamilton started making Chronometers in mass production. Previous Topic: Omega 2505-15 with 267 Cal ?